Coastal municipalities, as well as others along tidal waterways, are stuck. They need to be able to access capital for adaption projects but avoid spending unnecessary funds on preempting sea level predictions that never materialize. Predicting the impact of climate change on sea level is only possible within certain ranges due to the complexity of climate variables—inevitably, some adaptation projects will be over-protective and some will be under-protective. Derivative contracts that “commoditize” sea levels would provide a financing vehicle for adaptation projects that effectively shift this uncertainty risk onto willing counterparties. This gets municipalities away from reliance on federal grants, avoids overreliance on ex post flood relief, and limits the political pushback that may attend large-scale bond-financed projects. To illustrate how this might work, we now turn to derivative contract design. The idea for sea level derivatives has been around for several years. Writing shortly before the enactment of the Dodd-Frank Act, Daniel Bloch and others proposed a climate default swap wherein counterparties receive a payout in the event sea level reaches a pre-defined trigger level. Bloch’s proposal is an adaptation of a weather swap of the sort that has been traded since the late 1990s. In these swaps, parties with interests subject to climactic uncertainty trade financial positions with counterparties, so that the costs of the exchange to the party seeking to shed risks are paid for by the economic benefits of a favorable climactic outcome. In the sea level context, a coastal interest could sell the risk of higher than anticipated relative or absolute mean sea levels (“MSL”) by taking premiums from the counterparty under an agreement to pay the counterparty in the event an agreed upon MSL is reached. Bloch’s climate default swap, and related climate default “bond,” would allow municipalities to avoid under-protective adaptive measures by transferring the risk that a given proposal is over-protective to willing private counterparties. Ideally, such counterparties would have a reciprocal risk so that they would be hedging against a lower than expected sea level rise. As a simplified example of how a Bloch style sea level default swap would work, consider a municipality seeking to build a sea wall. The municipality knows with high certainty that it needs to build the first six feet because storm surges will frequently reach this height under the most conservative models. But beyond this, sea level rise projection variability makes it less clear that the municipality should build any higher. The municipality bears the risk that each extra inch of sea wall could be an unnecessary expense. So it executes a swap. The counterparty pays a premium to the municipality up front, financing the additional inches on the sea wall, in exchange for a payout in the event MSL reached a certain level within a specified period. Economically, the costs of the extra inches (plus interest) should equal the economic value of the flood avoided. So if the MSL trigger is reached and the municipality pays out, that cost is offset by the gain of staying dry created by those extra inches. If the MSL trigger is not reached, the municipality does not payout and the counterparty takes a loss. Under a “bond” type structure for a sea level default swap, a storm surge trigger could be used and reset at the beginning of each coupon period, with coupon payments by the municipality offset by the value of economic loss avoided. Redemption value adjustment may be necessary to ensure that the value of the “bond” swap tracks the real world value of flood avoidance. Sea level default swaps do not completely hedge against the risk that adaptation projects are under-protective. The sea level could wildly exceed expectations, thus triggering a pay out and leaving the municipality to deal with flood damages—albeit lessened by the adaptation project. Or flood events could occur due to storm surges or project failures that do not involve the MSL trigger. Nuisance flooding futures are a way to hedge against this risk by commoditizing floods in the same way that markets have commoditized weather. Rather than heating degree days or cooling degree days, a futures contract can be executed on nuisance flooding inch days (“NFIs”)—quantified as the amount of flooding along vertical and horizontal metrics over an agreed upon bound. However, NFI futures suffer from two immediate problems. First, risk mitigation untethered to adaptation projects may pull capital investment away from innovation. Further, this sort of loss relief is a less efficient use of capital than the loss prevention that would be facilitated by public adaptation projects. Second, it is less likely that a counterparty would take a long position on NFIs for hedging than for sea level default swaps, potentially fostering a speculative market on flooding. Notwithstanding these shortcomings, NFI futures can provide an alternative or supplement to conventional flood relief to guard against the risks of under-protection. To the extent that the absence of an obvious counterparty for NFI shorts and sea level default swaps fosters speculation, the applicable regulatory framework should be considered. Sea level default swaps and NFI futures would be subject to regulation by the Commodity Futures Trading Commission (“CFTC”) under the Commodity Exchange Act (“CEA”). The CEA grants the CFTC exclusive jurisdiction over transactions involving swaps or contracts of sale of a commodity for future delivery. The threshold question for regulation is therefore whether these instruments are based on an underlying “commodity” within the meaning of the CEA. If so, municipalities seeking to finance adaptation projects through sea level default swaps or seeking to hedge against under-protection through NFI futures must be aware of the regulatory significance attached to such actions. These instruments are based on an underlying financial “commodity” within the meaning of the CEA. Similar to weather-based derivatives, the underlier of these instruments is the occurrence of an independent measurable event—absolute or relative MSL in the case of a swap, and NFI in the case of a futures contract. The CFTC has repeatedly found that these kinds of intangible underliers are valid bases for futures contracts, even though there is no ready spot market for them and they may not be directly traded, because they represent some measure of an economic event that can be hedged against by contract. Regulation of these instruments is first scoped by how the commodity is characterized. The underlier of these instruments, as indexed measures of water levels, should be considered a financial commodity because it cannot be physically delivered and is not subject to the shared risks attending most physical commodities, such as supply fluctuation, damage, theft, or deterioration. This characterization as a financial commodity accurately represents the translation of MSL or NFIs into economic gain or loss, even though the rise or fall of water is an event occurring in the physical world. Because these instruments are based on financial commodities, they are subject to CFTC jurisdiction and do not qualify for the exemptions attending to contracts for future sale or delivery of physical commodities. The regulatory import of the CFTC’s jurisdiction is further scoped by how these instruments are characterized and by whom they are exchanged. Sea level default swaps, although used to finance adaptation projects, are simply the exchange of economic streams between parties. Section 1a(47) of the CEA defines a “swap” to include any agreement or contract providing for payment “dependent on the occurrence, nonoccurrence, or the extent of the occurrence of an event or contingency associated with a potential financial, economic, or commercial consequence . . . .” Swaps are also defined to include instruments that provide a basis for the exchange of payments based upon indices and/or quantitative measures. “Mixed swaps”—swaps that appear to fall within the jurisdiction of both the CFTC and the Securities and Exchange Commission (“SEC”)—are subject to joint regulation. Sea level default swaps should be used only to finance adaptation projects, raising the question of whether these can be characterized as bonds traditionally regulated by the SEC. However, these instruments should not be characterized as bonds or other debt securities simply because they are used to finance public projects and are issued by a traditional issuer of bonds. Sea level default swaps do not entitle a borrower to repayment, but rather entitle a long position party to settlement in the event of MSL default. In addition, these instruments cannot be characterized as “security-based” because the underlier is a commodity, not a security or security-based index. Nor can they be characterized as a forward for commodity option contract that would be excluded from CFTC regulation. Sea level default swaps are subject to exclusive CFTC jurisdiction. The CFTC’s regulations on swaps are authorized and informed by the 2010 Dodd-Frank Act’s reforms to the CEA. The regulations check the conduct of contract participants by requiring swap agreements to either be cleared and subject to regulation by an exchange facility, or traded off-exchange exclusively among “eligible contract participants.” Considering the geographic and project specific factors that must be considered in crafting sea level default swaps to finance municipal climate adaptation, it is likely that these transactions—at least at the outset—would be off-exchange. In this realm, CFTC regulations target participant conduct more than the contract terms. “Eligible contract participants” are broken down into sub-categories with particular regulatory import. Municipalities are classified as “special entities” and are provided with enhanced protections under Dodd-Frank to ensure that they receive unbiased independent advice before entering into swap transactions. “Swap dealers” or “major swap participants”—which may include the financial institutions best positioned to enter into sea level default swaps with municipalities—would have to reasonably believe that coastal municipalities have truly independent representatives with sufficient knowledge to evaluate transactions, provide written representations as to fairness on that basis, act in the best interest of the municipality, and make all appropriate disclosures to the municipality. The regulations do not make clear whether an eligible contract participant who is not defined as a swap dealer or major market participant would have the same obligations towards a municipal counter-party. However, reporting and record keeping requirements would still apply. These regulations limit the pool of eligible counterparties and would appear to shield municipalities from overtly predatory speculators. Futures contracts on NFIs would be based on a standardized indexed measurement that correlates to economic losses caused by flooding related to sea-level rise. These contracts would allow municipalities—or even private property owners—to hedge against the under-protection of public adaptation projects. Although actual delivery is not contemplated, these are contracts for the future delivery of a financial commodity and are thus subject to regulation by CFTC. Unlike sea level default swaps, these futures are well-suited to standardization and trade on exchanges, even though they are based on local measures. This exchange access would deepen the pool of market participants and ideally allow coastal interests to better assess flood exposure through the price discovery function of futures trading. To allow for the trading of NFI futures on an exchange, contracts would be standardized and would need to be cleared by the CFTC. Contract markets may not list contracts that are readily susceptible to manipulation, and the fact that these futures are based on an intangible commodity may raise some concern. The NFI indices will have to be developed as standardized, independent, and verifiable sources of information to ensure veracity. Past experience with futures pricing data has shown that self-reporting or phone call surveys are susceptible to manipulation. To maintain integrity, a localized NFI index should be based on data pulled from scientific monitoring devices rather than the reporting of local residents. This should hinder attempts to manipulate that cannot also be excused as potentially legitimate market activity. NFI futures contracts can thus be designed to pass muster with the CFTC, harness price discovery benefits, and hedge against under-protective adaptation projects. Sea level derivatives provide a promising path for funding climate adaptation. Use of these derivatives to hedge against risks inherent in sea level rise adaptation projects is warranted in light of the mounting expense and uncertainty of adaptation as well as the increasing inability of NFIP and FEMA to mitigate flood loss. Two derivative instruments, sea level default swaps and flooding futures are proposed as vehicles to shift the risks of under-protection and over-protection onto willing and able private parties. However, the lack of an obvious counterparty need to hedge may lead to heavy speculation. This carries with it the risks that counterparties may be over exposed and that markets will be susceptible to manipulation. But these transactions would be subject to CFTC regulation either on or off an approved exchange market. They should and must be structured to comport with those regulations to avoid the problematic incentives of an overly speculative market. The uncertainty of future sea level rise demands we adapt our cities. The economic reality of flooding demands we adapt our finances. Municipalities can strategically use derivative contracts to meet these needs, funding adaptation. 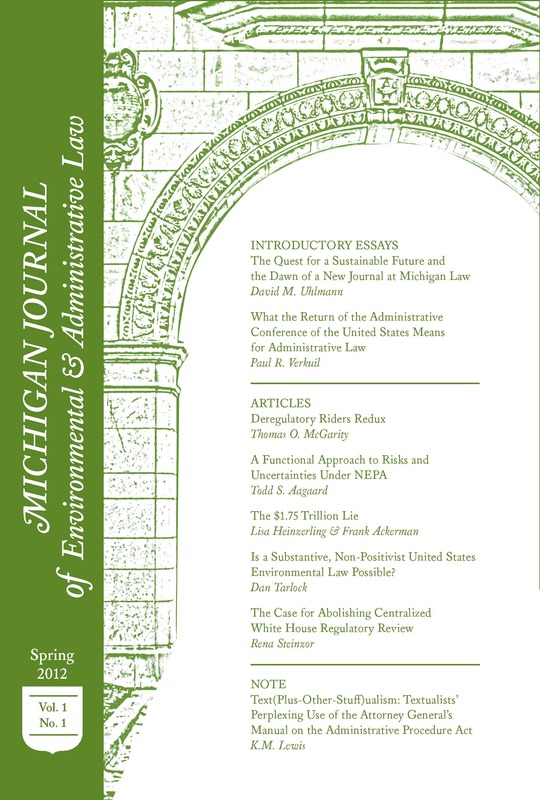 * Editor-in-Chief of the Virginia Environmental Law Journal, J.D. Candidate, Class of 2017, University of Virginia School of Law. See, e.g., Robert Mendelsohn et al., Country-Specific Market Impacts of Climate Change (2000). William V. Sweet & Joseph Park, From the Extreme to the Mean: Acceleration and Tipping Points of Coastal Inundation From Sea Level rise, 2 Earth’s Future 579–600 (2014). Claudia Tebaldi et al., Modelling Sea Level Rise Impacts on Storm Surges Along US Coasts, 7 Envtl. Res. Letters 8–9, 014032 (2012); see also Adam B. Smith & Jessica L Matthews, Quantifying Uncertainty and Variable Sensitivity within the U.S. Billion-dollar Weather and Climate Disaster Cost Estimates, 77 Nat. Hazards 1829 (2015). Cf. Bruce R. Lindsay, Cong. Research Serv., R43537, FEMA’s Disaster Relief Fund: Overview and Selected Issues (2014). Daniel J. Weiss & Jackie Weidman, Disastrous Spending: Federal Disaster-Relief Expenditures Rise Amid More Extreme Weather, Ctr. for Am. Progress (Apr. 29, 2013, 9:03 AM), http://www.americanprogress.org/issues/green/reports/2013/04/29/61633/disastrous-spending-federal-disaster-relief-expenditures-rise-amid-more-extreme-weather; Brad Plumer, The Government is Spending Way More on Disaster Relief Than Anybody Thought, Wash. Post (Apr. 29, 2013), https://www.washingtonpost.com/news/wonk/wp/2013/04/29/the-government-is-spending-way-more-on-disaster-relief-than-anybody-thought. The National Oceanic and Atmospheric Administration documented 15 weather events causing losses in excess of one-billion dollars in 2016. Billion-Dollar Weather and Climate Disasters: Overview, NOAA, https://www.ncdc.noaa.gov/billions/ (last visited Mar. 2, 2017). Rawle O. King, Cong. Research Serv., R40650, National Flood Insurance Program: Background, Challenges, and Financial Status 1 (2012). U.S. Govt. Accountability Office, GAO-17-317, High Risk Series: Progress on Many High-Risk Areas, While Substantial Efforts Needed on Others 619 (2017). King, supra note 6, at 13; Meghan Milloy, How to Stop the U.S. Flood Insurance Program From Drowning in Debt, The Hill (Jan. 13, 2017 9:00 AM), http://thehill.com/blogs/pundits-blog/economy-budget/316981-the-federal-flood-insurance-program-is-drowning-in-debt. Frontline: Business of Disaster (PBS television broadcast May 24, 2016). Multihazard Mitigation Council, Nat’l. Inst. of Building Sci., https://www.nibs.org/?page=mmc (last visited Mar. 2, 2017). City of Miami Beach, Storm Water Management Master Plan Executive Summary ES-8–9 (2012). Jessica Weiss, Miami Beach’s $400 Million Sea-Level Rise Plan is Unprecedented, But Not Everyone Is Sold, Miami New Times (Apr. 19, 2016), http://www.miaminewtimes.com/news/miami-beachs-400-million-sea-level-rise-plan-is-unprecedented-but-not-everyone-is-sold-8398989. City of Miami Beach, supra note 11, at ES-5, ES-8. See The Role of Mitigation in Reducing Federal Expenditures for Disaster Response: Hearing before the Subcomm. on Emergency Management, Intergovernmental Relations, and the District of Columbia of the S. Comm. on Homeland Security and Governmental Affairs, 113th Cong. 2, 6–8 (2014) (statement of David Miller, Associate Administrator, Federal Insurance and Mitigation Administration). Justin Gillis & Felicity Barringer, As Coasts Rebuild and U.S. Pays, Repeatedly, the Critics Ask Why, NY Times (Nov. 18, 2012), http://www.nytimes.com/2012/11/19/science/earth/as-coasts-rebuild-and-us-pays-again-critics-stop-to-ask-why.html. Justin Gillis, Flooding of Coast, Caused by Global Warming, Has Already Begun, NY Times (Sept. 3, 2016), https://www.nytimes.com/2016/09/04/science/flooding-of-coast-caused-by-global-warming-has-already-begun.html. Daniel Bloch et al., Climate Hedging Explained 6 (2010), available at https://papers.ssrn.com/sol3/papers.cfm?abstract_id=1676146. Note that this uncertainty also may have negative implications for municipal bond credit ratings, although impacts to date have been negligible. See Larry Levitz et al., Sea Level Rise May Challenge Some Local US Governments, Fitch Ratings (Sept. 16, 2015 5:11 PM), http://www.fitchratings.com/site/pr/990900. To “commoditize” in this sense is to designate as an underlying commodity solely to facilitate risk transfer through derivative contracts. Weather derivatives are one example of this: parties exchange weather derivatives but it is not possible to produce, buy, or sell the underlying weather. Cf. Felix Carabello, Market Futures: Introduction to Weather Derivatives, Investopedia, http://www.investopedia.com/articles/optioninvestor/05/052505.asp (last visited Mar. 31, 2017). Daniel Bloch et al., Cracking the Climate Change Conundrum with Derivatives, 2(5) Wilmott J. 271 (2010). History of the Weather Market, Weather Risk Management Assoc., http://wrma.org/history/ (last visited Mar. 2, 2017). “Relative mean sea level” is a standardized measure of mean sea level increase—the sea level halfway between mean levels of high and low water—relative to a point the continental shelf, whereas “absolute mean sea level” measures the actual mean sea level regardless of whether surrounding land is rising or falling. Climate Change Indicators: Sea Level, EPA, http://www.epa.gov/climate-indicators/climate-change-indicators-sea-level (last visited Mar. 7, 2017). Daniel Bloch et al., Applying Climate Derivatives to Flood Risk Management, Wilmott Mag. (Nov. 2011), at 88–91. Consideration of these risks is beyond the scope of this post, but they may include property developers positioned to benefit from sea level rise or parties in other sectors that may benefit from climate change in some other way. See supra note 1 and accompanying text. David Ravensbergen, At the Limits of the Market: Why Capitalism Won’t Solve Climate Change, Desmog Canada (Aug. 29, 2013 9:58 AM), http://www.desmog.ca/2013/08/29/limits-market-why-capitalism-won-t-solve-climate-change-part-1. See supra note 10 and accompanying text. Note that Bloch’s climate default instruments can also be used for non-adaptive but necessary public expenses such as funding easement purchases to move coastal property owners away from flood prone areas. Bloch et al., supra note 22, at 95. For heating or cooling degree days, there are ready counterparties who need to hedge against the opposite outcome—farmers and energy companies compliment each other. See Travis L. Jones, Agricultural Applications of Weather Derivatives, 6(6) Int’l. Bus. & Econ. Res. J. 53, 56–57 (2007). For NFIs, it is difficult to imagine a robust market for counterparties that are not speculators beyond local repair and construction interests. 7 U.S.C. § 2(a)(1)(A) (2012). See U.S. Commodity Futures Trading Comm’n., Opinion Letter (June 14, 2010), http://www.cftc.gov/idc/groups/public/@otherif/documents/ifdocs/mdexcommissionstatement061410.pdf, at 2–4 (approving contracts of certain media derivatives) (preempted by Dodd-Frank). See Statutory Interpretation Concerning Forward Transactions, 55 Fed. Reg. 39,188 (Sept. 25, 1990). See supra notes 17, 19, 21 and accompanying text. Id. at §1a(47)(A)(iii). Weather swaps fall within this category. Id. at § 1a(47)(D); 15 U.S.C. § 78c(68)(D); 17 C.F.R. § 240.3a68-4 (2016); see also Dodd-Frank Wall-Street Reform and Consumer Protection Act, Pub. L. No. 111-203, 124 Stat. 1376, 1642 (Jul. 21, 2010). Sea level default swaps used otherwise may be characterized as a sort of flood insurance, excluded from regulation as a swap but inevitably plagued by the same problems as the NFIP because the effect of correlated loss is multiplied by the sector’s inefficient use of capital. See supra notes 4–9. These instruments are based on financial commodities and the predominant feature is not delivery. See Athena Velie Eastwood et al., A New Era of Energy Regulation, 8 Appalachian Nat. Resources L.J. 1, 6–11 (2013); Terence Healey, Joseph Williams, & Paul J. Pantano, Jr., Energy Commodities: The Netherworld Between FERC and CFTC Jurisdiction, 33(3) Futures & Derivatives L. Rep. 1, 11–14 (2013). 7 U.S.C. § 7(e). “Eligible contract participant” is defined to include municipalities and financial institutions. Id. at § 1a(18). Note, however, that Bloch and others have proposed Gaussian pricing models that may assist valuation and facilitate market access. Daniel Bloch et al., Pricing Climate Derivatives with Nonlinear Models, Wilmott Mag. (Mar. 2012), at 46. 17 C.F.R. § 23.401(c) (2016). The PFM Group, How New SEC Municipal Advisor Rules Impact Swap Advisors 1–2 (2014). See 17 C.F.R. §§ 1.3(ggg), (hhh). See 7 U.S.C. §§ 6r(a)(3)(C), (b)–(c). City specific heating or cooling degree days provide a ready example. Cf. Sharon Brown-Hruska, Comm’r, U.S. Commodity Futures Trading Comm’n., The Functions of the Derivative Market and Role of the Market Regulator, Speech at the 2006 Planalystics GasBuyer Client Conference (May 18, 2006), available at http://www.cftc.gov/PressRoom/SpeechesTestimony/opabrownhruska-45. 7 U.S.C. § 6; 17 C.F.R. § 38.4. See 17 C.F.R. § 38.200. Gary Gensler, Libor, Naked and Exposed, NY Times (Aug. 6, 2012), http://www.nytimes.com/2012/08/07/opinion/libor-naked-and-exposed.html (opining that derivative markets work best where the underlier is observable and integrity can be verified). This is not foolproof; it still may be possible for an unscrupulous trader to physically manipulate the underlier by somehow inducing flood or otherwise move the value of the futures contract. See, e.g., Commodity Futures Trading Commission v. Amaranth Advisors LLC, 554 F. Supp. 2d 523, 528–30 (S.D.N.Y. 2008) (discussing “marking the close” manipulation); Ryan Jacobs, The Forest Mafia: How Scammers Steal Millions Through Carbon Markets, The Atlantic (Oct. 11, 2013), https://www.theatlantic.com/international/archive/2013/10/the-forest-mafia-how-scammers-steal-millions-through-carbon-markets/280419/ (discussing how intangible commodities like carbon credits are susceptible to hacking and scams). E.g., Chip Cummins, Traders’ Gas-Price Data Are Getting a Closer Look, Wall Street J. (Nov. 13, 2002), https://www.wsj.com/articles/SB1037041733443469708 (discussing problems with basing the Platts index on information volunteered by interested parties). This is necessary due to the difficulty in establishing intent where legitimate market explanations exist in enforcement actions. See In the Matter of Indiana Farm Bureau Cooperative Assoc., CFTC No. 75-14, 1982 CFTC LEXIS 25 (Dec. 17, 1982) (specific intent not established where legitimate explanation existed); see also Cargill v. Hardin, 452 F.2d 1154, 1170–71 (8th Cir. 1971) (factual specific evaluation of market actions could not be considered ordinary and were evidence of intent to manipulate).